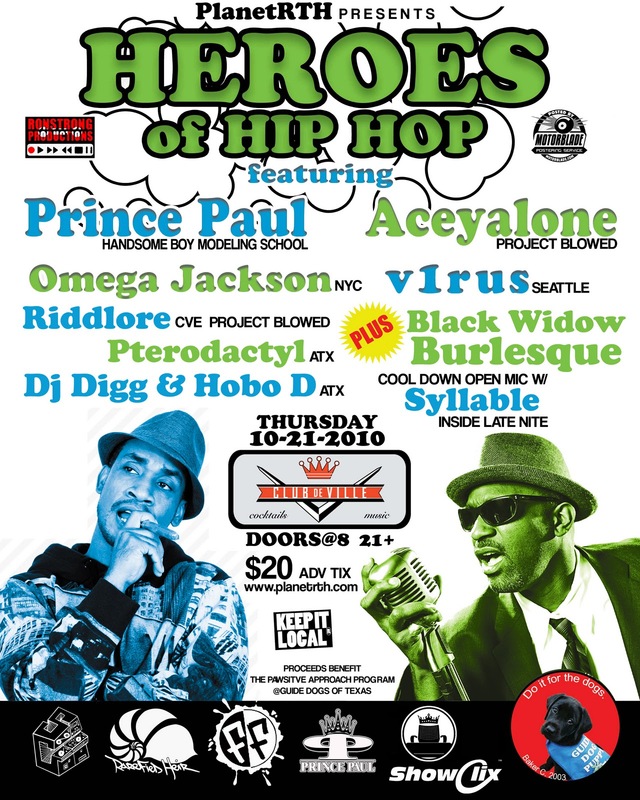 From the all together now department... For those looking to score some tickets for the Heroes of Hip Hop show with Prince Paul & Aceyalone on Thursday, Oct 21st @ Club Deville, go to the Austin Hip-Hop Scene Facebook page and "like" this post and PlanetRTH will give away a pair of free tix to one lucky winner. AND... there are six handbills out there with a signature. Show a valid one at the door and you can roll in with TEN friends. They're about to be all over town - record stores, music stores, bars, clubs, bookstores, etc. etc. Props to PlanetRTH for setting all this up!